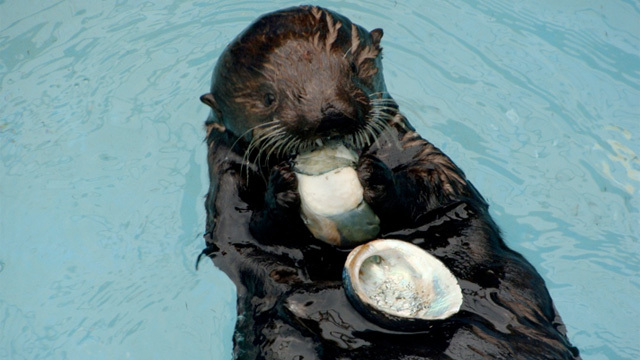 If you Google the title of this blog you will find a Facebook pagedeveloped in 2009 chronicling the rescue, treatment, recovery and release of Olive the Oiled Sea Otter. At the time it was a neat story with a happy ending and, but little known to most of her followers, Olive served at the proof that improved methods for washing oiled sea otters represented a significant advancement since the days of Exxon Valdez (20 years previously). The whole story of this research and Olive’s role in it (she is referred to as Otter C) is contained in a very recently published paper “Washing Oiled Sea Otters” released by Wildlife Society Bulletin (WSB) March 24, 2012, ironically the 23rd anniversary, almost to the hour, of the Exxon Valdez oil spill. The Spring (first yearly) issue of WSB is “open source” so it is easily available for all concerned about sea otter conservation, oil spill responders, ecologists, those concerned about petroleum development and wildlife, sea otter lovers, and of course Olive’s fans. Olive was washed and released in 2009 and not much had been done to followup on her for a couple of years, but in late March California Fish and Game biologist Colleen young took a crew out to see if she could be located. The signal of her implanted VHF radio was weak but led them to the edge of a kelp bed south of Santa Cruz. Off in the distance an otter with a blue tag between the toes of one hind foot could be seen. The other tag wasn’t visible, but given the radio signal and the one tag color match it was very, very likely Olive. Why does it matter that Olive is alive and well ? Those that followed her recovery from oiling (it was Monterey formation natural seep oil, not an oil spill) probably each have their own reason. From a scientific perspective she was a perfect test case to show that rapid stabilization and washing (the concept behind the development of the CDFG-OSPR- Marine Wildlife Veterinary Care and Research Center in Santa Cruz and California’s Oiled Wildlife Care Network)), and use of warm softened fresh water for rinsing and for initial swimming and tank recovery (the concept behind Washing Oiled Sea Otters), and a few other minor modifications, could greatly improve upon recovery rates and times seen in Alaska in 1989. The recovery of Olive’s fur coat to normal water repellency, like that of two very healthy adult male research otters at U.C. Santa Cruz tested 6 times each before her, was improved by ½ to 2/3rds. Caring for Olive, and the extensive record kept of her recovery, showed that two relatively new technologies, infra-red thermal imaging and use of tiny (rice grain size) temperature sensitive tags under the skin, are a tremendous help in tracking fur coat recovery and forecasting when it will be complete. Underwater video taken of Olive during the weeks of her recovery also provided an answer to how somersaulting and rolling behaviors of sea otters help trap and inject air into their fur. Otters can blow air into their fur with their mouths, but this is time consuming and hard to do in some areas. By breaking the air/water interface with their rolling on the surface, otters get a very thin sheet of air adhering to their fur, and when they submerge or dive, the air in pushed into the fur by water pressure. Olives’ recovery and apparently normal life serves as a small counter argument to those who have said that maybe oiled sea otters should just be killed or allowed to die, as few recover to live normal lives. Further, the costs associated with her care and recovery were 1/8th to 1/16th figures often quoted for Exxon Valdez otters ($5000 vs $40-80,000 per otter). Simply stated, Olive shows that the approach California has chosen, provision of “best achievable treatment”, to deal with the rather high likelihood of an oil spill in the threatened southern sea otter range (all the tankers from Alaska transit the Central Coast), will not only work, but may even be more effective, if tested, than previously estimated. If, like Olive and her research otter partners, otters can be washed and returned to normal water repellency in 2-3 days as opposed to 7-10 days, many more otters can be saved, with less costs and man power, than was previously possible. It’s wonderful how much we can learn from sea otters if we just ask the right questions and pay attention. And it was all done here along Monterey Bay.